Are you looking for an excuse to take your yoga practice to a white sand beach this fall? Check out this 4-day luxury yoga retreat at The Somerset on Grace Bay in the Turks & Caicos Islands from October 11-14, 2014. From October 11 to 14, 2014, The Somerset on Grace Bay is offering a 4-day luxury yoga retreat for only $250 (valued at $650) for guests staying at the resort. The convenience of this yoga retreat add-on is that it can be enjoyed by one or more guests in your travel party, but not all guests are required to participate. And when your done practicing your poses, you can go relax in the oceanfront infinity pool or new on-site spa, or stay active with complimentary pedal bicycles to cruise around Grace Bay, fitness center with steam room, snorkeling equipment, kayaks, Hobie Cat sailboats, croquet and more. Ideal for all skill levels, each day the retreat will focus on a different yoga philosophy and include sunrise meditation on the beach, an energizing morning flow yoga practice and a more gentle sunset yoga practice. In addition, there will be special sessions for paddleboard yoga, exploring energy-body awareness and ayurvedic healing practice. AFFORDABLE BEACH ESCAPES: Last Minute Fall Travel Deals in Mexico and the Caribbean. Does the end of summer have you yearning for one last beach fling before the chill of autumn settles in? I’m in the midst of writing about the Dominican Republic and Mexico this week and have stumbled upon some amazing last-minute travel deals in the process. Here are three affordable hotel deals in Punta Cana and the Riviera Maya offering exceptional last-minute savings that just might tempt you to hop a flight. Is Russia on your travel wish list for 2013? Check out this new last-minute booking offer from Grand Circle Cruise Line’s for free round-trip international air fare from 22 U.S. gateway cities on 3 Fall 2013 departures on their 16-day Russia Revealed: Moscow to St. Petersburg river cruise. Offer ends August 27, 2013. This Russia river cruise is among GCCL travelers’ top 3 most popular river cruises for 2013. In addition, two GCCL Russia ships, the M/S Tikhi Don and the M/S Rossia, were the highest ranked Russian river ships in Condé Nast Traveler’s 2013 Top 100 Cruise Ships in the World. SAVE up to $3100 per couple on three fall 2013 departures: Free round-trip international air fare from 22 U.S. gateway cities includes airport transfers and government taxes, fees, and airline fuel surcharges. (Please note: visa costs are not included). LAST MINUTE TRAVEL DEAL: South America from $399 taxes included with LAN. Planning a Fall trip to South America? You can save now and travel later with LAN airlines’ mid-year BIG DEAL SALE, now offering huge savings from the U.S. to South America this fall. But the deal ends this week! Buy your ticket now through June 18, 2012 for deals starting at US$399 roundtrip, including all taxes and fees and travel for less between September 1 - November 30, 2012. Since 2004, Nature Air, based in San Jose, Costa Rica, has been synonymous with a 100% carbon neutral aviation program. Now, from unlimited flight passes, to free flights for kids, and convenient fly-drive packages, they’re offering some pretty tempting wallet-friendly travel deals to help you save big on your next adventure. Read on for details. 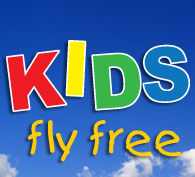 Up to two children 12-years-old and under fly free, when traveling with two adults that pay round trip FLEX fare. Save on your entire vacation when staying with participating hotels that are offering free stays for children. The summer months may be coming to an end, but that doesn’t mean the sun and fun have to fade too. 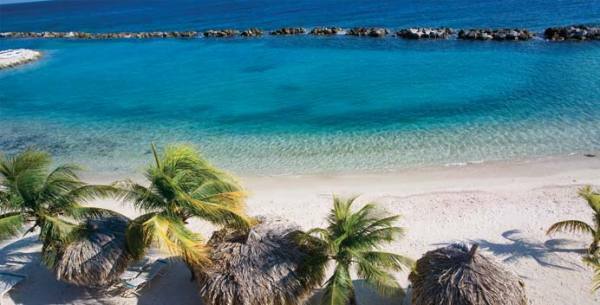 At Breezes Resorts & Spas, guests can look forward to bright days ahead with savings of up to 55 percent on travel through December 23 at properties in Jamaica, the Bahamas, and Curacao when booked by September 30. French Country Waterways, luxury hotel barge cruise operator, has announced special pricing on two of its popular itineraries – the Upper Loire Valley and Central Burgundy. The six-night, October 9 and 23, 2011 sailings are priced at $4,547 and $4,687 (suites) per person, double, aboard the eight-passenger deluxe barge Princess, and $3,847 on the 12-passenger, all-suite Horizon II, respectively. This amounts to savings of 40% off the Horizon II’s regular season fare of $6,495 when combining the 30% special with the $1,000 per person seasonal discount, and 30% off Princess’s fares of $6,495/$6,695. Other October special savings dates are also available. 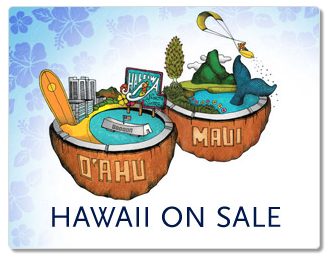 Alaska Airlines launched a sale today with low fares to Hawaii from several West Coast cities and Alaska. One-way fares start at $149* from the West Coast and $179* from Alaska. Tickets must be purchased by Aug. 22 for travel starting Aug. 23 from the state of Alaska and beginning Sept. 12, 2011, from the West Coast. Travel must be completed by Oct. 31 from Alaska and Dec. 13, 2011, from the West Coast. Southwest Airlines Halloween Fare SaleSouthwest Airlines announced beginning today (Tuesday October 26,2010) it’s giving Customers early treats, not tricks, for Halloween! Customers can purchase one-way tickets for $30, $60, $90, or $120 to select destinations based on length of travel. For travel up to 450 miles, fares are $30 one-way. For travel between 451 and 1,000 miles, fares are $60 one-way. For travel between 1,001 and 1,500 miles, fares are $90 one-way. For travel more than 1,501 miles, fares are $120 one-way. These fares are available for purchase today through 11:59 p.m. PDT Oct. 28, 2010, and are good for travel every day except Sundays between Dec. 1, 2010, and Dec. 15, 2010, and between Jan. 4, 2011, and Feb. 16, 2011. To see the list of markets, prices, and to take advantage of these special fares, visit www.southwest.com. 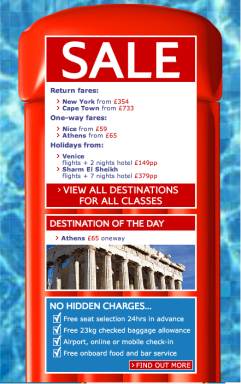 When I want to find B&B special offers, I turn to the B&B directories which list hundreds of packages and B&B offers. Many of the larger B&B online directories offer a place to peruse special packages including BedandBreakfast.com,BBonline.com, ILoveInns.com and BnBFinder.com. While travelers often think there are no deals to be found In New England during fall foliage, these directories list plenty of fabulous deals. Additionally, if you read my Cheaper by the Dozen series, you learned a few tricks of the trade for saving at B&Bs. As we move toward peak foliage in New England, here are a few deals that will persuade you to plan a B&B getaway. Since nothing goes better than a day of leaf peeping than a night at a cozy B&B, check out some of these offers, then book now or forever hold your peep! Be sure to mention these specials while booking. New Autumn Promotion Offers Up to 35 Percent Off Nightly Rates, Plus Up to 25 Percent Off Dining, Beverages and Spa Services at Select Aqua, Fiesta Americana Grand and Fiesta Americana Resorts. For those of you debating whether to hop on that plane or not, travel and luxury lifestyle expert, AMPR’s President & CEO Andria Mitsakos, has rounded up a few of this season’s best vacations for cultural experiences on realistic budgets. Whether it’s in the Caribbean, Mexico or Europe, each is a chance to make your life rich with the worldly experiences of travel. The Offer: Island Outpost beats to new rhythms in Jamaica with a 5th-night free offer and rates as low as $95 per night. Where: Jakes (Treasure Beach), The Caves (Negril), Geejam (Port Antonio) and Strawberry Hill (Blue Mountains). Details: Travel dates range throughout November and December, and each hotel includes a distinct experience of pampering extras. Among them: complimentary massages; welcome bottle of wine; complimentary roundtrip flights from Kingston to Portland for stay of 7 nights or more (Geejam only); meals, drinks and more! All this in addition to the distinct, hip ambiance Island Outpost’s hotels convey, uniting guests with the local atmosphere. Get it: Visit www.islandoutpost.com or call 1-800-OUTPOST. The Offer: Nab 25% savings with the Buenaventura Fall All-Inclusive package, where rates are just $100 per person, per night (based on double occupancy). Where: The newly renovated Buenaventura Grand Hotel & Spa, located just steps from lively downtown Puerto Vallarta. Details: Valid through December 15th, 2008, package includes four days/three nights’ accommodations in a Deluxe Room, one Gold Star Wrap spa treatment per person, in addition to daily breakfast, lunch and dinner with unlimited cocktails, beer and wine. Enjoy the daily-replenished mini-bar! Hotel taxes are also covered. Get it: Call 1-888-859-9439 or email ventas@hotelesbuenaventura.com.mx. Villa Beach Cottages, one of St. Lucia’s best-kept-secret resorts, is pleased to announce special low rates for bookings now through December 15, 2008. Nestled among the coconut trees of Choc Bay, just a few short yards from the Caribbean Sea, Villa Beach Cottages has recently undergone extensive renovations and improvements and provides guests with comfortable, casual luxury in an idyllic location. Offering panoramic views of the ocean, the lush green mountains of the northern coastline and an offshore island, this unique property is situated in a paradise-like setting, and is known for its warm, friendly service and picturesque, peaceful location. Guests will receive the special rate of just $199/night for accommodations in a brand new, deluxe one-bedroom villa suite. The beautiful and luxurious self-contained villa suites feature intricately-carved four-poster beds, living and dining rooms with indigenous designer furniture, fully-equipped kitchens with marble countertops, including full-sized appliances, and large balconies with teak furniture and steamers overlooking the Caribbean Sea. The deluxe one-bedroom suites include bathrooms with his and hers pedestal sinks and in-room Jacuzzi tubs with an ocean view. All of the villas feature state-of the-art room amenities such as LCD flat-screen TVs, DVD and CD players, and high-speed Internet access. Before we move into the hectic holiday season, now is a good time to take advantage of autumn in America. Clear cool days and nights of the fall season lead to the radiant spectacle of crimson, gold and orange leaves throughout most of the United States. Here’s a few colorful and affordable destinations from Hotwire.com’s leading travel expert Clem Bason. Philadelphia: $59 / 3-star hotel in Philadelphia, Pa.
AirTran Airways, a subsidiary of AirTran Holdings, Inc. (NYSE:AAI) , today launched a sale for travel to select destinations with fares starting as low as $49*. Travelers may purchase these sale fares at http://www.airtran.com/ or via AirTran Airways’ reservations system at 1-800-AIR-TRAN. For Spanish, call 1-877-581-9842. These special fares are available for purchase through October 8, 2008, and are good for travel through December 17, 2008. They are valid for travel on Monday, Tuesday, Wednesday, Thursday and Saturday. Like all AirTran Airways fares, prices included in this sale are available for one-way travel and do not require a roundtrip purchase or an overnight stay. NatureAir, the world’s first carbon neutral airline, is offering travelers the chance to see Costa Rica for only $25! From October 10th to October 17th travelers can purchase a ticket to any Costa Rican destination where NatureAir flies for just $25!